What’s Bad: This Vikram Bhatt film offers you too many hilarious moments and the excess exaggeration of scenes tends to start bothering you, when it happens over and over throughout the movie. Loo Break: There are too many unnecessary songs, given this being a horror movie. So you can definitely give any of the songs a miss and take a break. Trust me you are not going to miss anything significant. Watch or Not? : The first half definitely gives hope of living up to the level of 1920 but the battle is completely lost in the second half of the film. Watch if you want to experience some spine-chilling moments, but also be ready to laugh your heart out at times. The movie revolves around Ayush Asthana( Karan Kundra) who is blessed with phenomenal music skills and has never attained any formal training in it. When he performs at Mr Wadia’s (Vikram Bhatt) house for a party, he insists him on getting a professional degree in music. Mr Wadia offers Ayush a deal, where he takes on himself the expense for Ayush’s degree in York College of Music and instead wants him to be the caretaker of his mansion in York. Ayush happily accepts it and moves to York where after 3 months he starts experiencing ghastly happenings. Meanwhile, Mr Wadia’s niece visits the mansion and tries to kill Ayush for reasons unknown. On the other end is Rose ( Zareen Khan) who has fallen in love with Ayush by just hearing his music, even before meeting him. She is blessed with a special power where she can see spirits and communicate with them. She helps people going through incidents which are beyond a normal humans understanding related to evil spirits and their motives. Watch the movie to know. Written by the director of a benchmark horror movie like 1920, this one definitely comes as a surprise. The script gets confusing at times and you tend to lose connection with the last scene you watched and are left wondering. Elongated flashbacks were a major drawback for the script, which if kept minimal could have helped in giving a steady foothold for 1921. This might be called as Zareen Khan’s best performance till date. Not only has she improved as an actress but also has her screen presence only gotten better. To better describe her performance in 1921, it seems like she has taken it upon herself to fulfil the herculean task of trying over and over to save the sinking ship that 1921 is. Karan Kundra is definitely one of the reasons why you do not find a connection with this movie, 1921. This man definitely needs to work on his expressions and acting skills and could have been easily been replaced by any other actor. It would be wrong on our part if we fail to praise him for his work by the end of the second half where he does real justice to his role of a man whose body has been possessed by an evil spirit. The ethereal backdrop of York coupled with direction by Vikram Bhatt was a treat to the eyes. 1921 can be better put as an experience and finely directed work gone wrong. The movie treats you throughout with so moments where you are in awe of Vikram Bhatt but again you are thrown back into reality with scenes like two female souls engaged in a catfight. This can only be termed as a mixed bag when you talk about 1921 in terms of direction. Something that was on point, throughout the movie 1921 was the background score by Sangeet Haldipur and Siddharth Haldipur. Not once did they fail in setting the mood and bringing out the emotion that was required in the scene for the viewers. Like every Vikram Bhatt movie 1921, definitely had its fair share of good songs, but too many in number which led to the loss of their essence. Sunn Le Zara sung by Arnab Dutta and composed by Harish Sagane is the song that stood out for us in the movie. 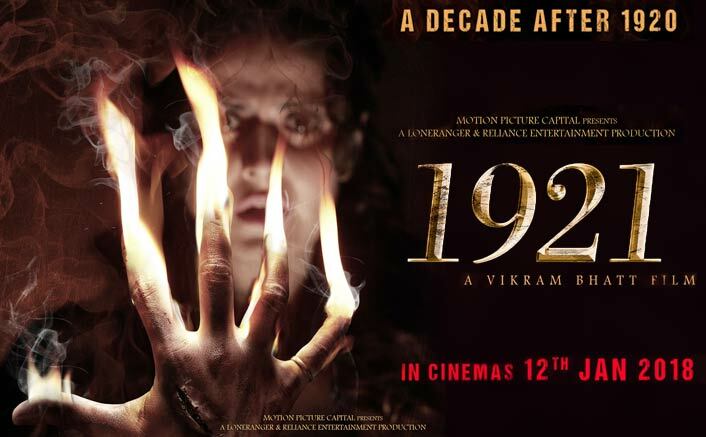 If you plan to watch this movie keeping in mind 1920, a disclaimer for you this is nowhere near to Vikram Bhatt’s first and best film of this franchise. You are in for a roller coaster ride with this film, 1921. Where on one end you might find yourself gasping for breath on the other end you might not stop yourself from giggling at times. 1921 Movie releases on 12th January 2018. Share with us your experience of watching 1921 Movie . A great anaylysis in a way. However, there are too many spoilers. When you write a movie review, you do not specifically reveal a lot many scenes and sequences, but unfortunately this is how almost every review on this website, is structured. (we guys know you have watched the movie, but please keep to a simple review than quoting spoilers). Citing one or two scenes is still pardonable, but nope, not this way. This was like hearing the movie story outright from someone, which spoils the fun. I would rather stick to reviews from other sources than read spoilers. Please try to update to professional movie-review writing. What I liked is the addition of individual commentary on script analysis, direction, music etc. i could not watch this movie ….for a bad circumtances of box office .thas why the movie was not release today..